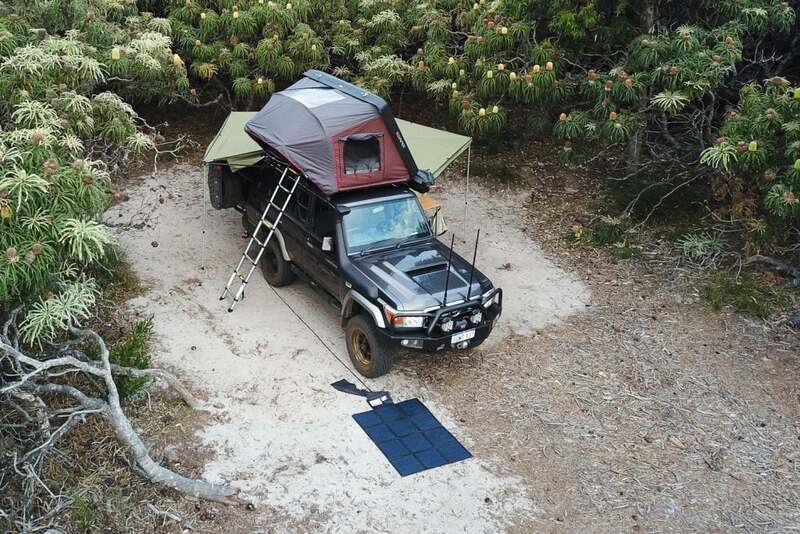 As more and more travellers head off on adventurous journeys, rooftop tents like the iKamper Skycamp 4X are becoming increasingly popular. 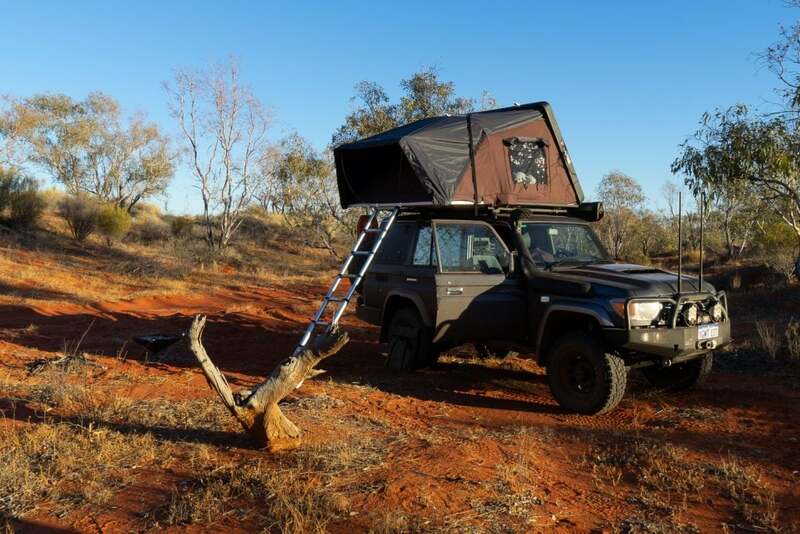 Over the last couple of years, we have also seen a steep increase in the popularity of hard top styles where the bedding can stay in, there’s no dusty cover to deal with, and the setup and pack up is effortless. 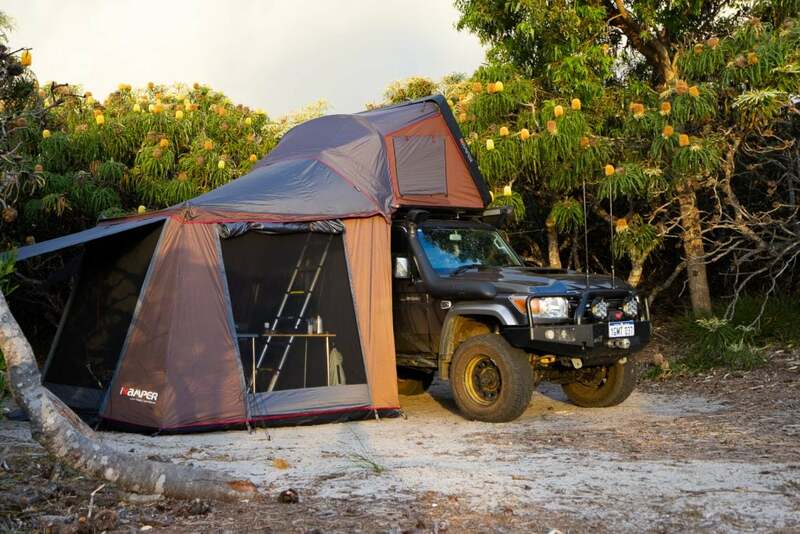 Tents in the hard top category have historically been limited to two people. 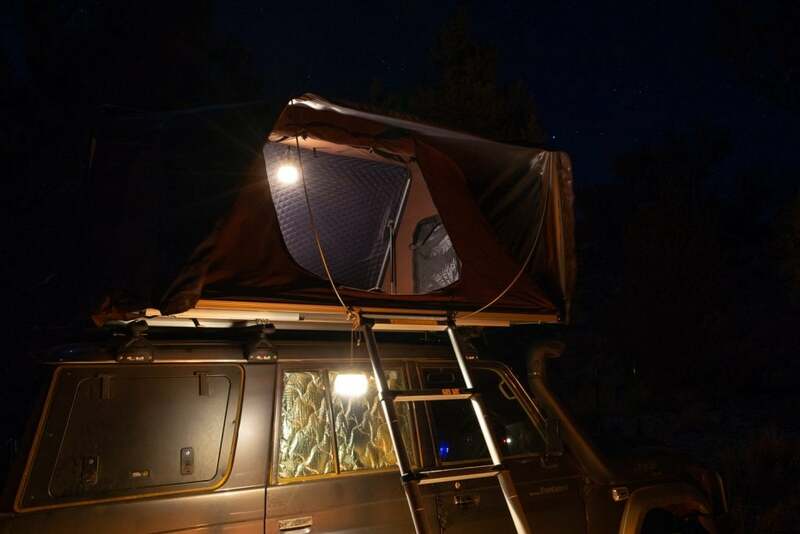 With a unique design and the promise of room for four, we were keen to try the iKamper Skycamp from the moment we saw it on the crowd funding platform Kickstarter. It seems like we weren’t the only curious ones. 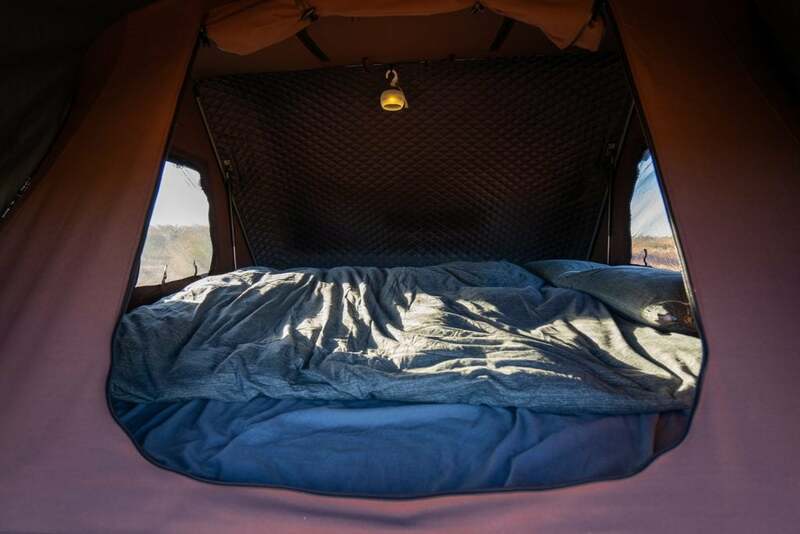 Skycamp raised almost US$2.4 million, making it the most successful tent in Kickstarter history. 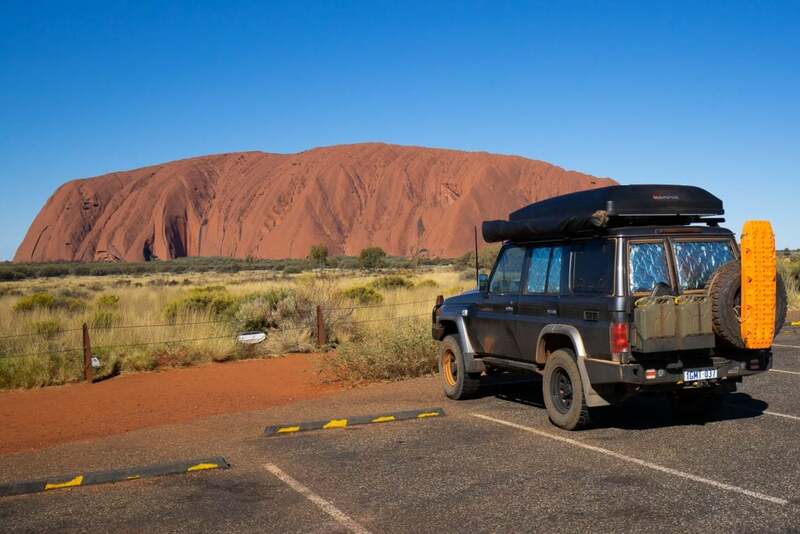 While roomy and quick are alluring qualities, they count for little if the build strength isn’t up to the rigours of off-road travel. 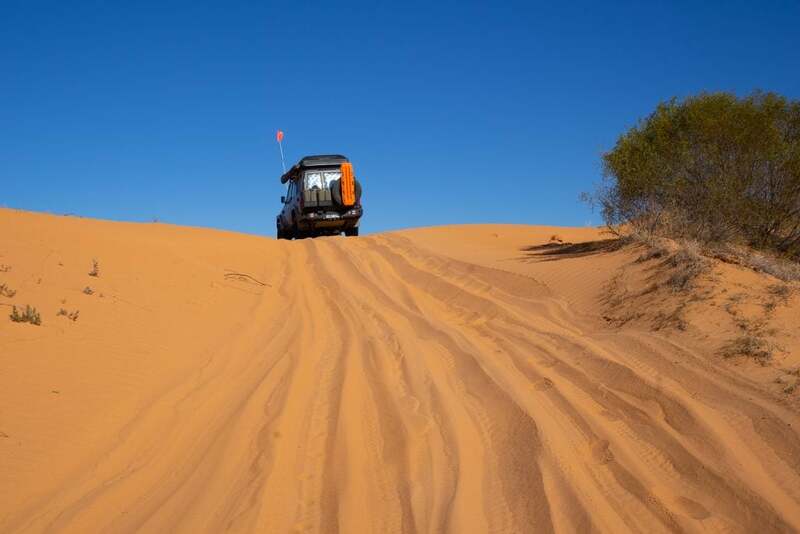 I won’t repeat the technical details (you can find those on iKamper’s website) but I will say the Quality Assurance processes, attention to materials, and especially the strength of honeycomb aluminium floor and FRP (fibre reinforced plastic) shell gave us the confidence to jump straight into an outback field test where product failure would be extremely tedious. 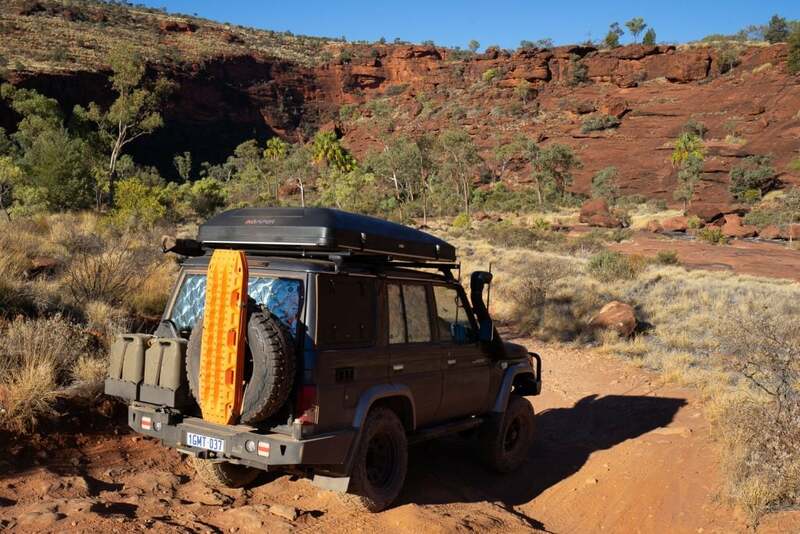 We covered over 8,000 kilometres in 3 weeks, with much of it on dirt. 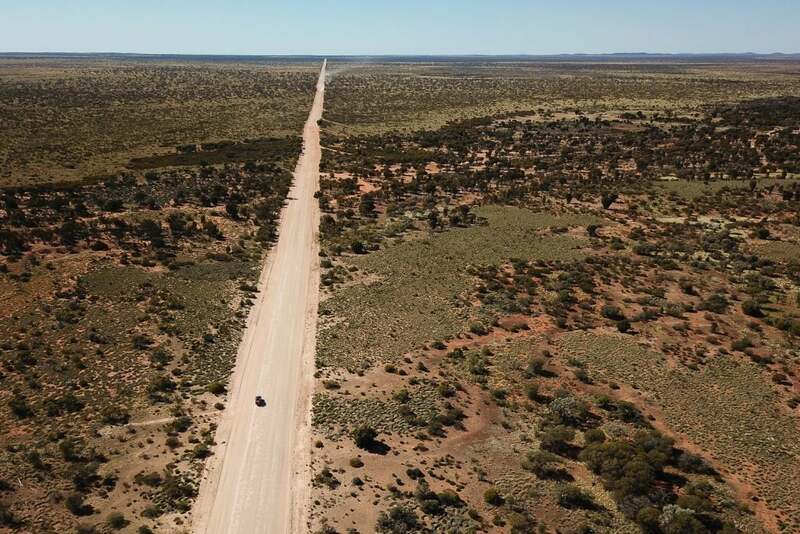 This included the endless corrugations of the Great Central Road, and the bumps and bull dust of two crossings of the Simpson Desert. The iKamper was set up and packed down every day. Well, superbly actually. It didn’t budge on the roof racks and the dust stayed out. The nuts stayed on the bolts and nothing broke. The stowed ladder rubbed slightly against the floor on the corrugations, an easy fix with stick on felt from the hardware. We couldn’t have asked for more. When it comes to the tent itself, the iKamper Skycamp 4X is the only hard shell tent on the market that can sleep 4. 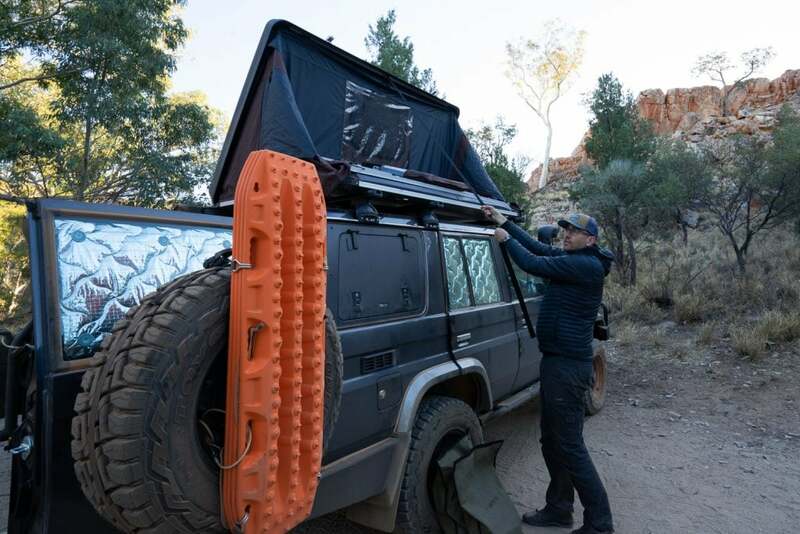 Half of the base cleverly opens out away from the vehicle to make a full king size mattress. 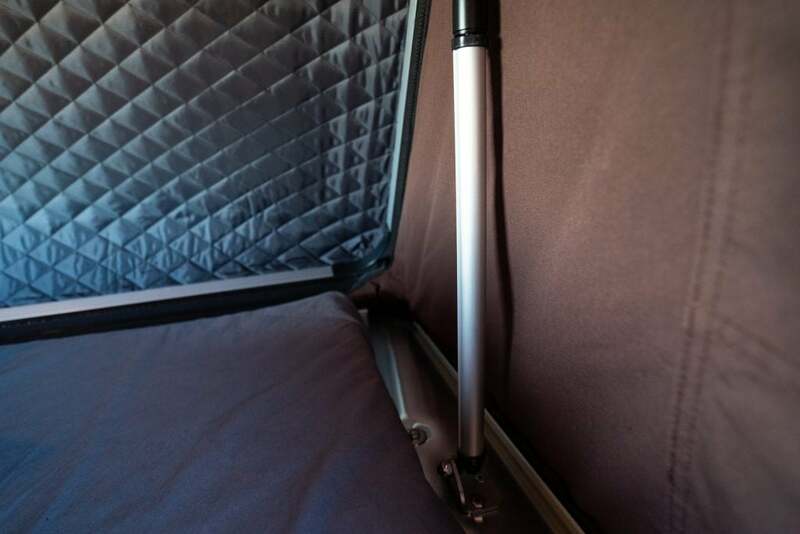 At 72kg, the Skycamp weighs in at the middle of the range when compared to options with room only for two. The weight is low and spread across the roof and we found it had minimal impact on the Cruiser’s stability. It is huge inside! For two, it was a palace and there’s certainly enough room for a family of four, especially for those with younger kids. 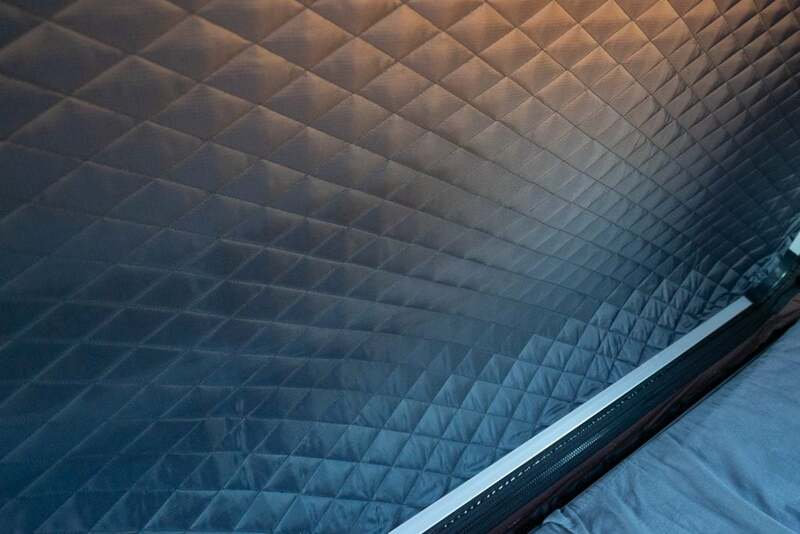 The mattress is made from dense foam, which although thinner than some mattresses, we still found really comfortable. The entrance has a handy rain/sun mini awning which quickly extends with steel supports. 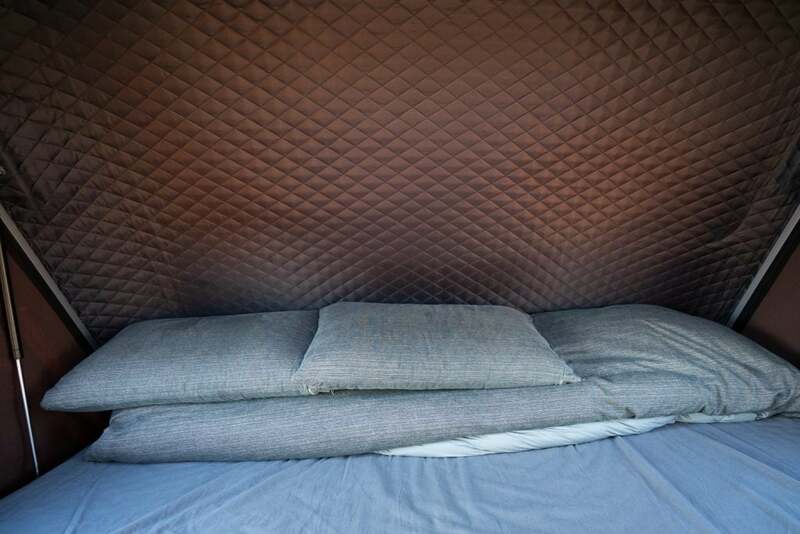 This connects to the optional iKamper Annexe Room which offers a full room for shelter from the wind and rain. Also available is a large awning. Both of these connect to the iKamper above the entrance so the tent is still accessible from underneath. We didn’t need these this time, but we’ll take a look at them soon. With vents on three sides and the roof, ventilation is superb. Like hiking tents, iKamper also offer an optional mesh tent that can be used with or without the rain fly – the perfect solution for tropical nights. 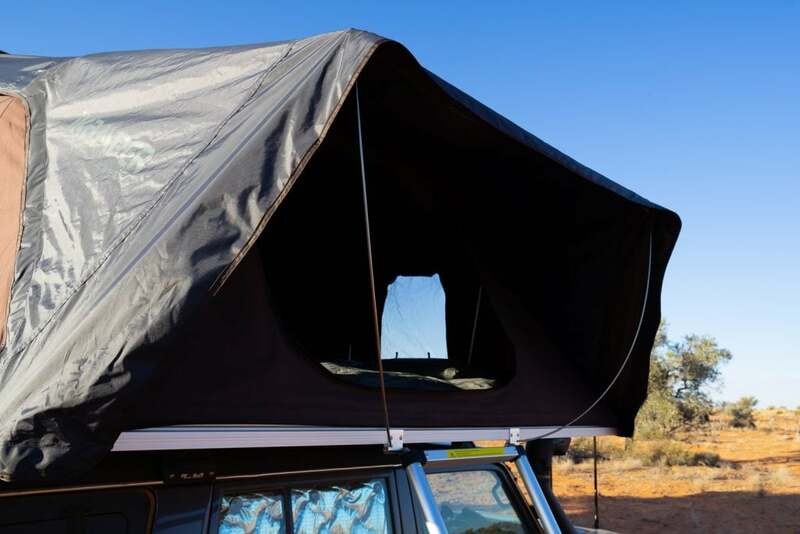 While most tents have canvas and mesh on each window, the iKamper also has a third option, clear vinyl. Gazing up at the stars through the roof window is superb, as is being gently woken by a desert sunrise (all while keeping the wind and cold out). The iKamper shell and floor are well insulated and the tent is made from a breathable poly-cotton canvas. The tent is warm and we experienced no condensation. 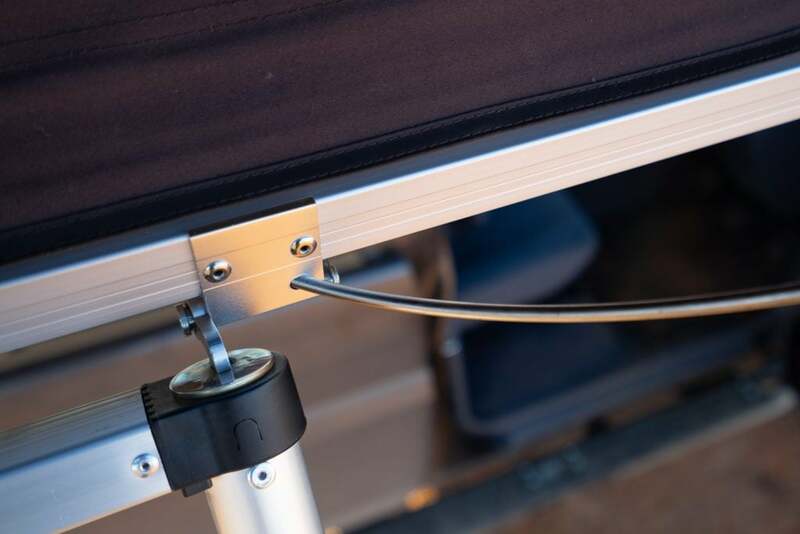 While they weren’t needed on our trip, the Skycamp comes with alloy sleeves which clip onto the gas strut arms to lock the lid open in windy conditions. Setup is a breeze. 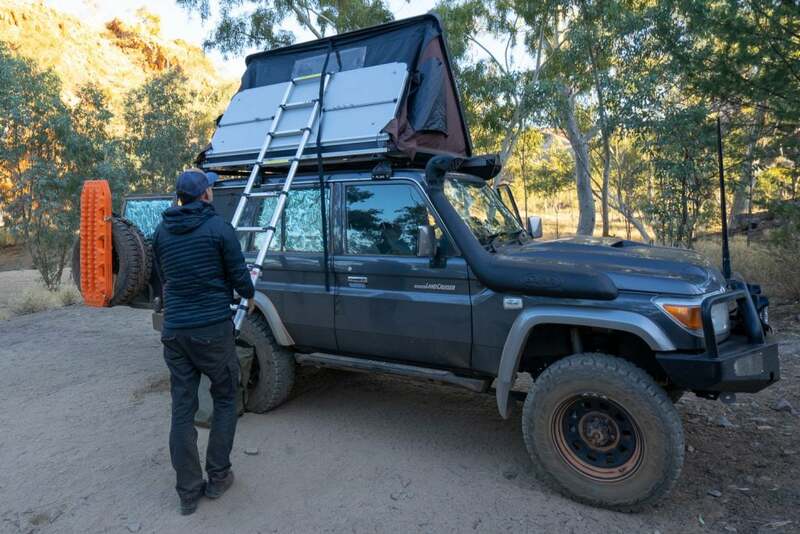 Pop the clips, push the lid up, watch the gas struts take over, extend the ladder, open the tent fully, clip up the mini awning with the supports and it is done. Going at a normal pace, it really is a less than one minute job. Pack up is almost as quick. We found the trick is to place the bedding against the hinge with the pillows to the rear. 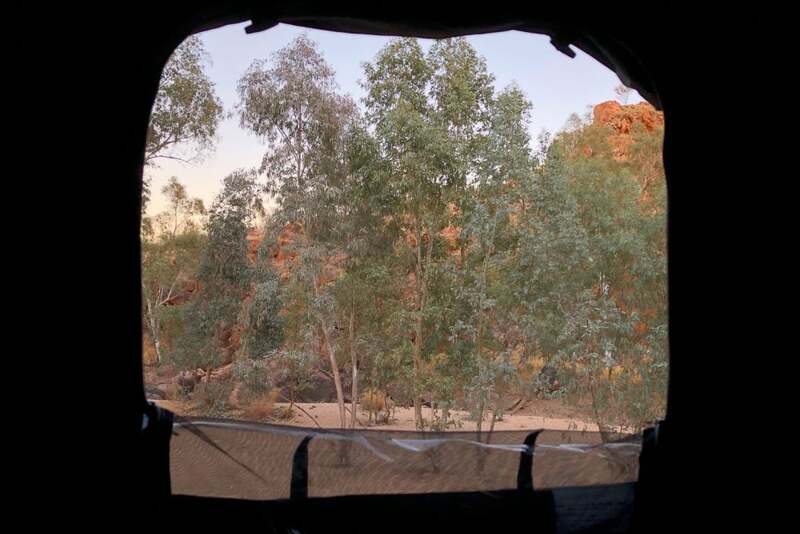 We easily fitted two full sized pillows, a winter doona and two down sleeping bags (it was cold in the desert!). The free space left clear is for the extended floor section, so it can can fold in unobstructed and the tent can close easily. With the floor folded in, it’s a simple matter of collapsing the ladder (which stays connected), pulling down on the strap to close the lid, a quick poke away of any excess canvas and down with the latches. 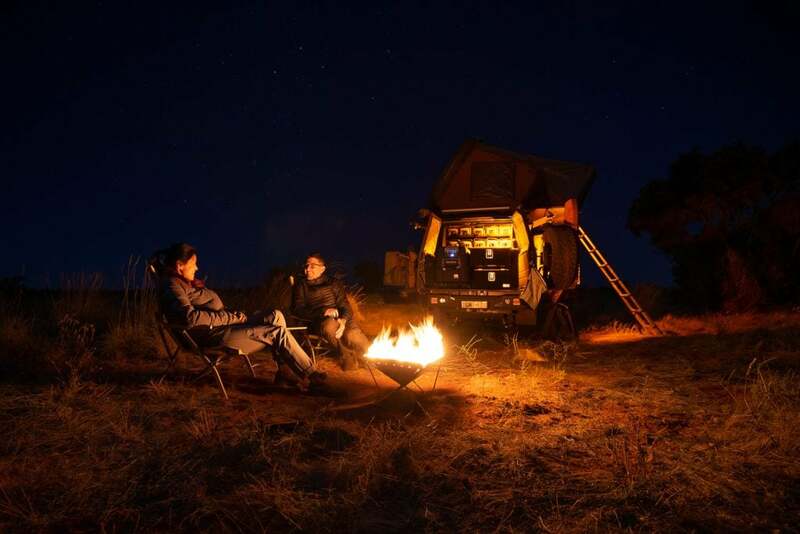 The 4X is not just for vehicles, it works well on a range of camper trailers for those looking for a fast setup. 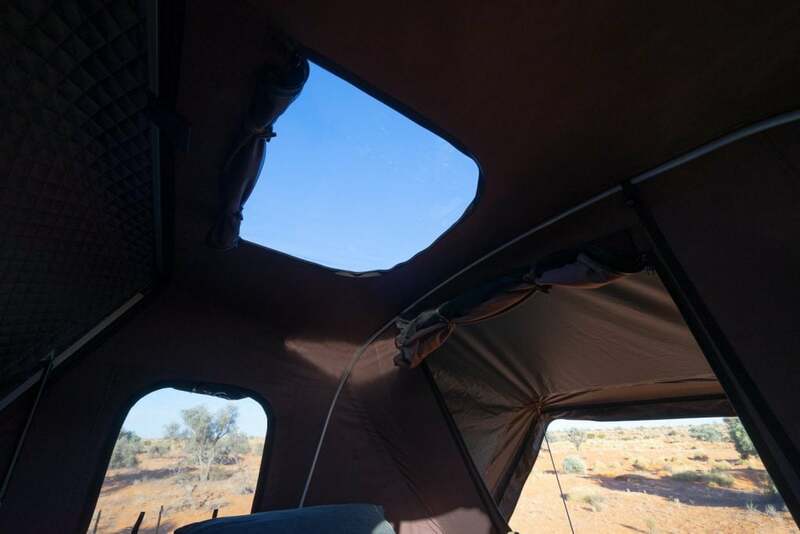 iKamper also makes the Skycamp 2X which is built for 2 people and weighs in at 55kg, which is one of the lightest of the high quality 2 person hard top tents on the market.